There is a dark side to Christmas most people prefer to ignore, never speak of, to turn a blind eye to. Every Christmas, millions of cookies are executed, eradicated, and exterminated at the hands of one man. Their bodies: gnawed and mangled, torn into pieces, dumped and drowned in gallons of milk. This Cookie Hungry Santa Adult Ugly Christmas Sweater bravely brings attention to this annual massacre. 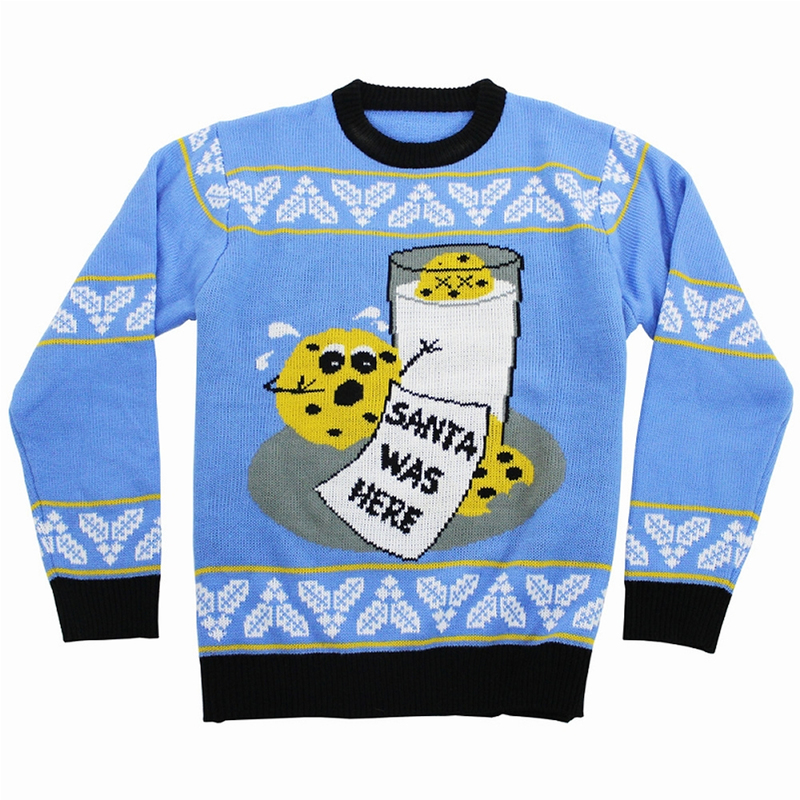 This funny Christmas-inspired sweater depicts the destructive aftermath of a visit from Santa Claus. 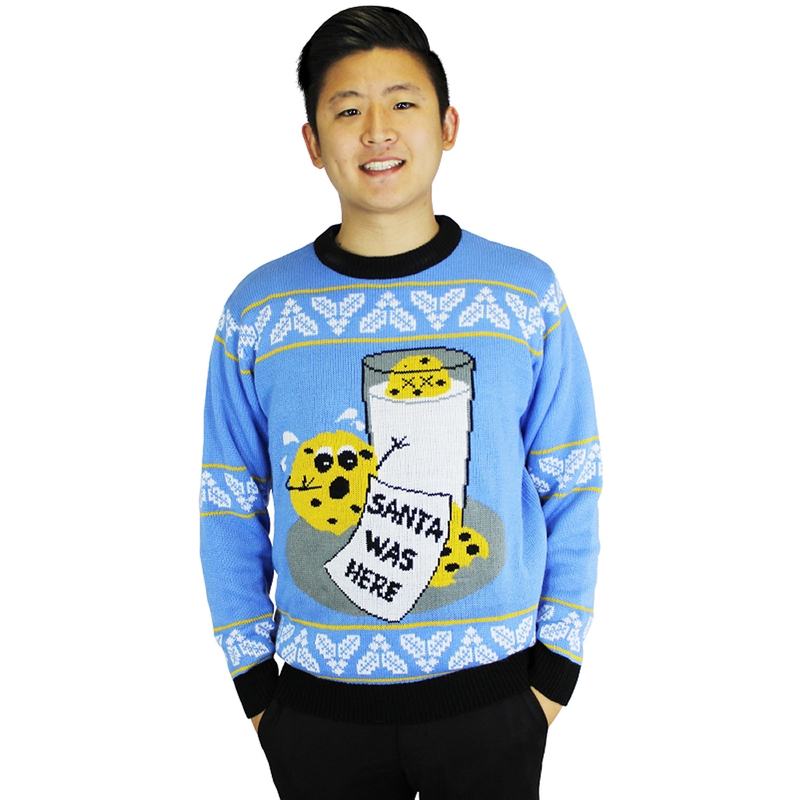 The adult unisex sweater features the image of a crying chocolate chip cookie discovering a friend bitten and another drowned in a glass of milk with the note “SANTA WAS HERE” left behind. The baby blue sweater is designed with a black collar, wristbands, and waistband. 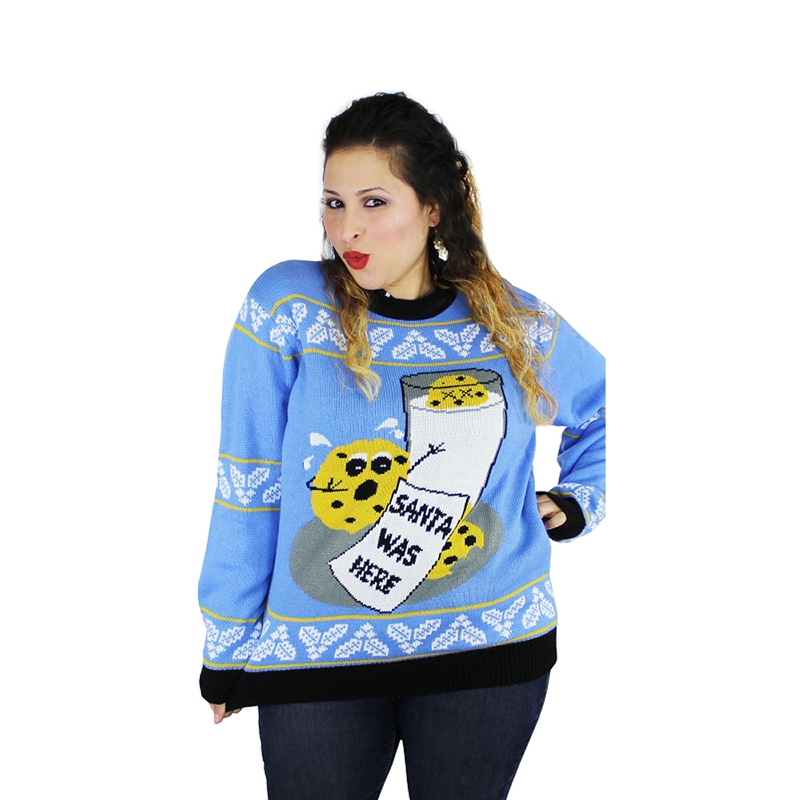 Bring awareness to the dark side of Christmas this holiday season by wearing this Cookie Hungry Santa Adult Ugly Christmas Sweater.